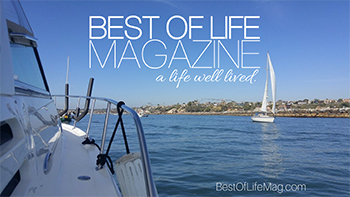 Orange County, CA Sep. 2018/ Best of Life PR/–Stand up paddleboarding has become a sport all in itself with both surfing and racing options, filled with professionals and fans. One such professional is Daniel Hughes who specializes in SUP surfing. Hughes has been working towards making a name for himself within the sport and now, he is one step closer to greatness. 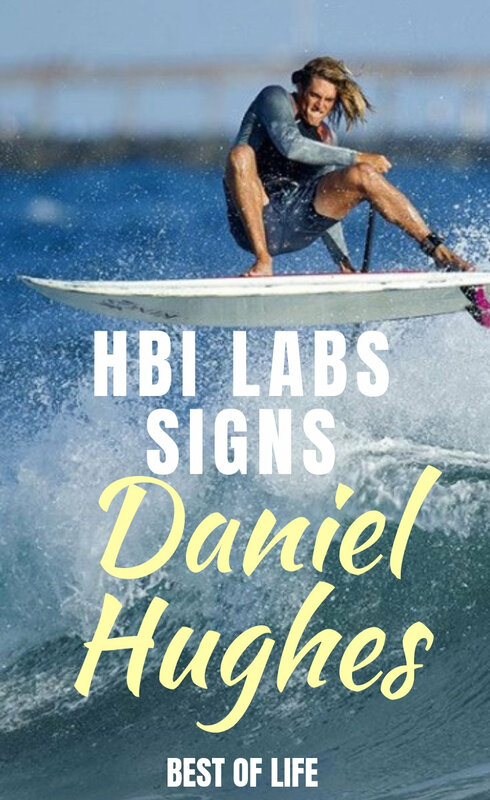 HBI Labs has signed Daniel Hughes as he heads off to the 2018 ISA World Championships. 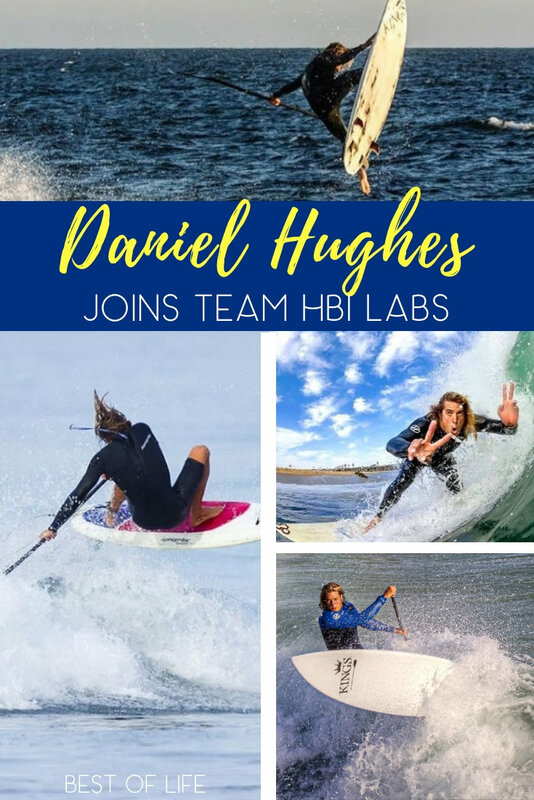 HBI Labs Inc has signed stand up paddleboard surf pro Daniel Hughes to their team of influencers and athletes. Many people are familiar with the idea of Stand Up Paddleboarding or SUP. SUP is simply getting on a shortboard out on the water and using a paddle to get around. This is usually seen as a leisurely way to spend the afternoon out on still water. But when you take SUP and put it out on the ocean, with waves, you can do even more. SUP surfing is very similar to traditional surfing with the key differences being that you can use the paddle to get out to the best waves and you use your paddle to maneuver and ride a wave. SUP surfing wasn’t always as widely accepted as it is today. But now, this form of surfing has become very popular and professionals like Daniel Hughes are taking the surf scene by storm. First hitting the waves at 6 years-old on boogie boards, Daniel Hughes is more than familiar with the ocean. Hughes’ dad has been surfing for over 40 years and that is what helped Hughes get in touch with the water. As Hughes aged, boogie boards turned into longboards and then shortboards and now, he has landed at SUP boards. Hughes and his brother started SUP surfing in Huntington Beach before it became popular. There was even a respect issue between SUP surfers and traditional surfers. 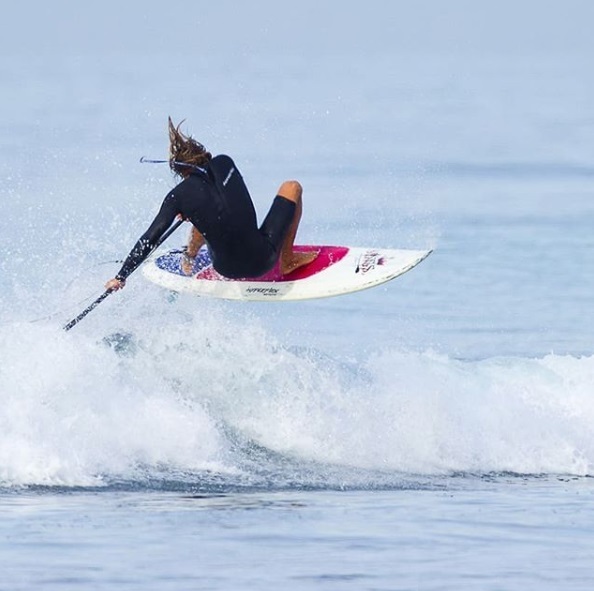 But Hughes found respect for the new sport and now, there are people all over the world and even competitions around SUP surfing. Now, Daniel Hughes is headed off to the 2018 ISA World Championships in Wanning, China. The championships are put on by the International Surfing Association and Daniel Hughes is set to take Riyue Bay and show the world his skills. HBI Labs is a health supplement company at the front but there is so much more to HBI Labs that you can discover. Team HBI Labs is a team of professionals in many different industries from modeling to sports and every sub-sect you can think of. Together, Team HBI Labs team members work together to help each other in their fields. One example of that is if a sports professional on the team needs models for a new clothing line they’re launching. HBI Labs team members support the brand with photography, social media, and more. The goal of Team HBI Labs is to create an environment where people can succeed and reach even further than the goals they have set for themselves. Daniel Hughes is now part of that team and everyone is excited to see Daniel Hughes at the ISA World Championships.